The colour you paint your walls can have a dramatic effect on the value of your home. This is according to a recent report carried out by Market Watch. Now I’m not advocating we return to times when people made design choices based on what a potential purchaser would prefer. I sincerely hope the days of painting everything magnolia are firmly in the past. What interested me most about the report was that it actually encouraged the use of colour. 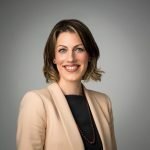 Homes where the owners ‘played it safe’ and painted everywhere white were perceived as clinical and achieved a lower sale price than homes where colour was used. Yet so many of us are afraid of using colour and really struggle when it comes to choosing the right colour. Colour is such a powerful tool. Get it wrong and the colour will shout at you every time you enter the room; get it right and you won’t even notice the colour. You’ll just love spending time in the space. Here are eight ways to help you pick your perfect shade. But how do you make the right choices? The secret to getting it right is in layering. You should start with a neutral backdrop and build on colour carefully by adding bolder colours through accessories and art. 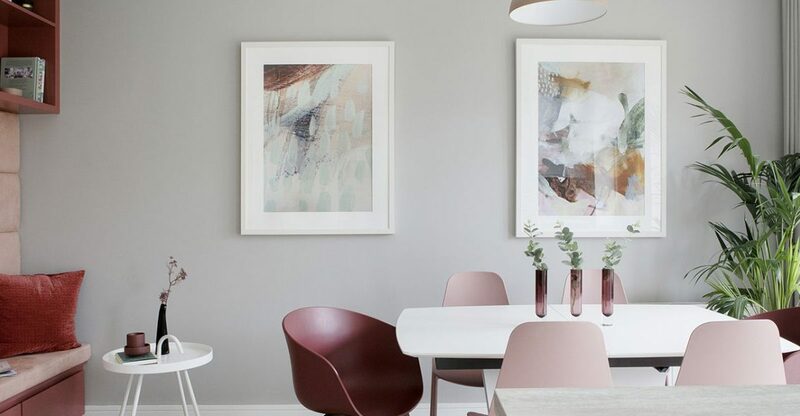 Your wall colours should form your backdrop, but keeping these neutral doesn’t mean painting them a bland and boring shade. You can create a neutral version of practically any colour and can go either very light or very dark. 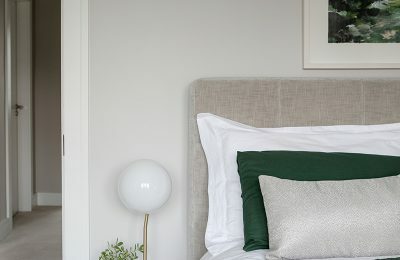 Think greys, caramels and sandy tones, all of these work in any version from light to dark as a neutral backdrop that you can combine with any other accent colour. Don’t be afraid to use dark colours. There is a misconception that painting a room dark will make it feel small but it actually can have the opposite effect. The trick when choosing a dark colour is your choice of shade. Go for the slightly chalky version of your preferred colour. 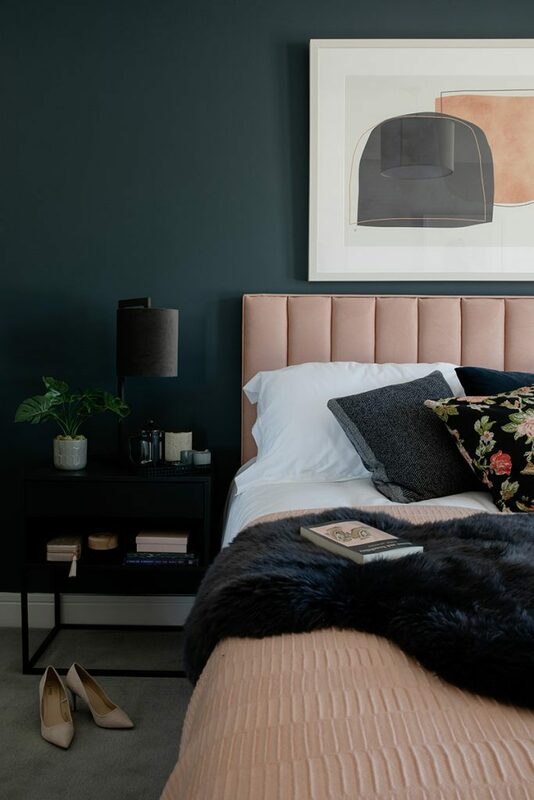 Really dark tones can actually fall into the category of neutral, and they also form the perfect backdrop for hanging art. To help you select the perfect colour first collect some swatch cards in the shade that you want to use. Once you’ve narrowed it down invest in some sample pots of your preferred shades. Instead of painting directly onto the wall paint onto a large piece of board or card. This way you can carry it around the room testing the colour in different light conditions. Before you begin thinking about colours, ask yourself how you plan to use the space. You will want to create a completely different atmosphere in your kitchen than you will in your bedroom. Your kitchen should feel fresh vibrant and inviting so you will want to go for brighter colours. Your bedroom, however, will want to feel calm and restful. 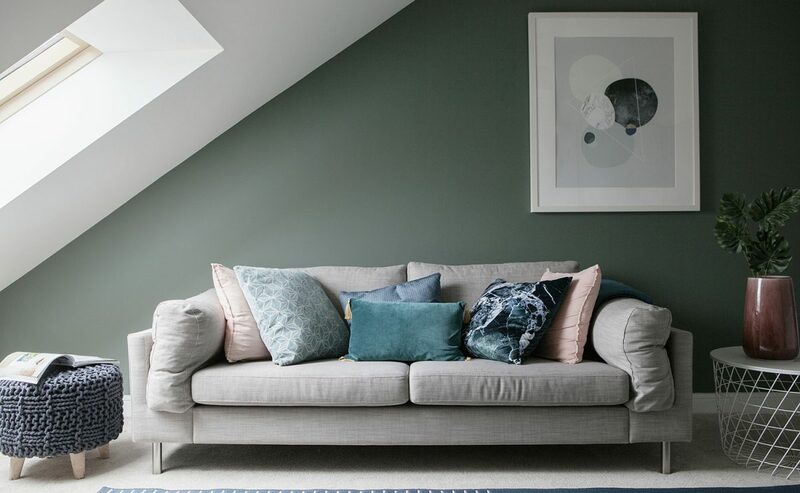 So softer colours that create a tranquil feeling are a great choice, or you could even consider a dark, moody colour to create a cocoon-like effect. Never select a colour based on a trend or fad. That is a guaranteed way to end up with a room that soon feels dated. Social Media is a wonderful source of inspiration but it is very trend-led so be careful when using it to choose colours. If you’re seeing green everywhere, for example, it’s a pretty good indication it’s very “in” at the moment and is therefore likely to soon be on the way “out”. Even though it’s relatively easy to repaint your walls, it’s not something you’ll want to do every year. 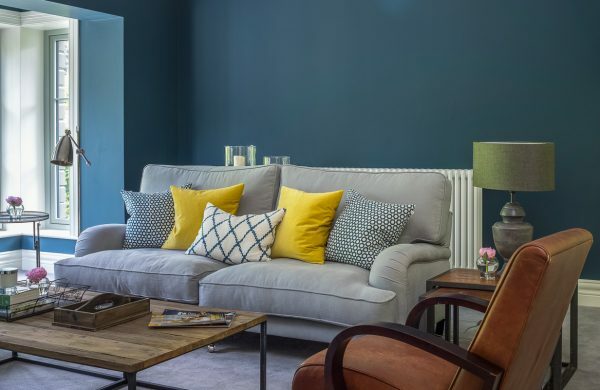 So if you have your heart set on an on-trend colour, introduce it with accessories and items that can be easily replaced and choose a complementary wall paint that’s more timeless. 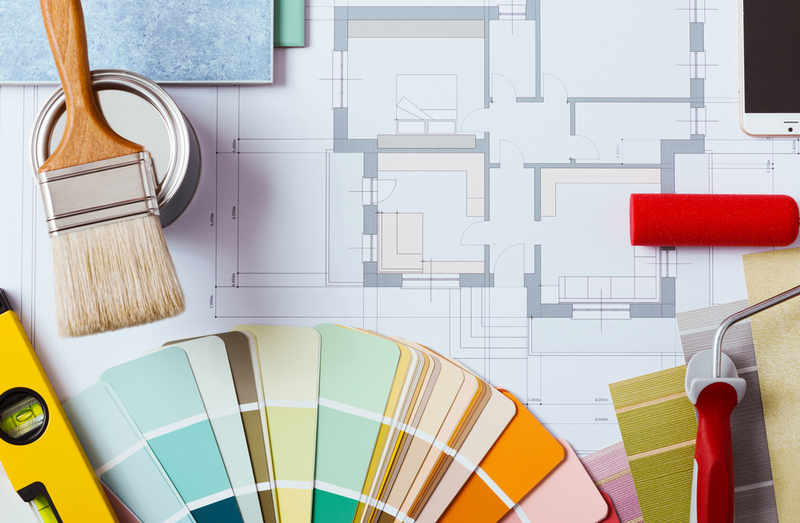 Knowing the colour that you would like to paint your room is a great first step but picking the actual shade should be one of the last things you do. If it’s an existing room take some time to do an inventory of all of the permanent features like the colour of the floor or curtains. Think about the upholstery fabrics and any artworks. 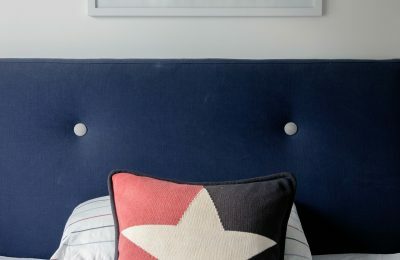 Your wall colour will need to work with these items otherwise you end up with a room where everything feels out of place. If you’re starting from scratch you should choose any major items first like a sofa, curtains or flooring for colour ideas. Perhaps you need some inspiration – a great place to start is using a piece of art that you plan to hang in the room. This is a really great way to pull a colour scheme together and guarantee a completely cohesive look. 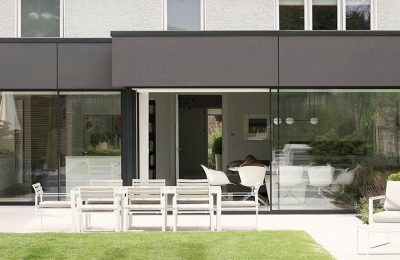 Finally, one of the biggest mistakes people make when painting their homes is not considering adjacent rooms and how the room works as a whole. The colours in your home – especially on the same floor – should have a cohesive palette and should complement each other. Pull together swatches for each room and ensure that they all complement each other.